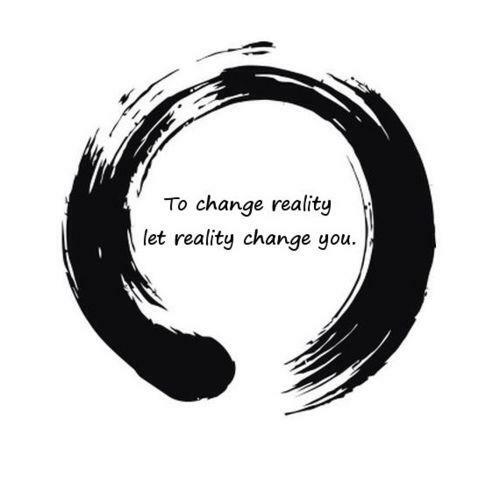 Searching for zen quotes and sayings, now you don't need to search for them anymore. As here I have compiled down some of the inspirational quotes and sayings about zen. Just hope you like the quote compilation and learn something inspirational from here. You don't think your way back to joy; you open to it. I have no news of my coming or passing away- the whole thing happened quicker than a breath; ask no questions of the moth. Life is more or less a lie, but then again, that's exactly the way we want it to be. What we can change is our perceptions, which have the effect of changing everything. Do not seek for the truth, only stop having an opinion. Preoccupied with a single leaf you won't see the tree. Doffing the ego's safe glory, he finds his naked reality. When the mind is exhausted of images, it invents its own. Many have died; you also will die. The drum of death is being beaten. The world has fallen in love with a dream. Only sayings of the wise will remain. The thinking brain influences the body’s responses and it makes a neat little loop. What makes human life - which is inseparable from this moment - so precious is its fleeting nature. And not that it doesn't last but that it never returns again. It is easy to believe we are each waves and forget we are also the ocean. When you blame, you open up a world of excuses, because as long as you're looking outside, you miss the opportunity to look inside, and you continue to suffer. Just as parents care for their children, you should bear in mind the whole universe. it isn't that we're alone or not alone whose voice do you want mine? yours?